It is with great sadness that we tell his friends that Clint Nickerson died Saturday, June 3, in Victoria, B.C., following a short illness, three months shy of his 66th birthday. Clint was brought up in Victoria. Most of the raising was done by his mother, Muriel, a schoolteacher. She selflessly channeled her efforts into her two extraordinary children, Clint and sister Beth, having suffered the loss of her husband when both kids were quite young. Muriel’s drive to ensure her children received the best possible education saw Clint enrolled in Brentwood College School in Mill Bay on Vancouver Island. He graduated with honours and embarked on two years of undergraduate studies at the University of Victoria. Clint then dove into a lifelong career in broadcasting. He was an immediate success, blessed with a first class brain and one of the best set of ‘pipes’ in the business. Clint initially spent a couple of years at Victoria radio station CJVI under news director Joe Easingwood, learning the basics of the trade. Stints at CKDA Victoria and CFUN Vancouver followed before Clint landed in Toronto in the mid-1970s at Rogers’ rock station in Toronto, CFTR. Within a few of years, he had moved into TV, signing on with Moses Znaimer’s legendary CITY-TV in the days before CHUM bought control, and when it still occupied its original quarters in an old industrial building on Queen Street East and featured horrible yellow plaid office furniture. After a couple of years, Clint headed back to CFTR to work under news director Robert Holliday. Together, they produced the pioneering weekly public affairs show, ‘Sunday, Sunday’. This was in the days before satellite transmission and every show had to be put to bed by mid-week so tapes could be sent via Air Canada Air envelope to stations across the country for use during the weekend. It was also a very expensive show and ‘Sunday, Sunday’ folded in the early 1980s. Clint moved down the street to Telemedia’s CJCL, a station that was heavily into talk and public affairs programming. However, as at CFTR, this also proved too expensive for the owners and Clint found himself back in the producer’s chair at CITY, this time at new quarters on Queen Street West. It was an exciting time to be at CITY. The channel universe was exploding, CHUM had bought into CITY and there was plenty of money to finance an exciting array of shows produced in that building, including Fashion TV, MuchMusic, The New Music – and arguably the most innovative news programming in the city with Clint actively charting its course. It was also in those days that Clint met Alisa, his wife, who also happens to be one of the most talented designers in Canada. He was one of Znaimer’s most trusted deputies and in the late 1990s, awarded Clint with the chance of a lifetime – to establish CHUM TV’s brand-new station in Victoria. Clint built that station literally from the ground up, including going through the byzantine exercises with the CRTC to secure the broadcast license. CIVI was meant to shake up the broadcasting landscape by applying the methods that had been so successful at CITY-TV, with an even more intense focus on public affairs programming, with Clint at the helm as News Director. Critics loved the programming but audience numbers disappointed. Clint remained doing part time consulting work in broadcasting but around this time, he was finally able to engage full time in the love of his life – golf. To say he played the game well is a huge understatement. Watching Clint wind himself up at the tee prior to connecting with the ball was a huge treat, like watching an artist at the easel. Total, utter immersion. 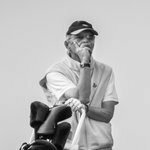 Life truly does take some circuitous turns and Clint found himself playing almost daily at the Victoria Golf Club in Oak Bay, the very same course where he had caddied as a boy. In fact, Clint ensured the club got involved in the Evans Caddy Scholarship, which established a fund to send deserving caddies to university. Clint was also devoted countless hours to the Victoria Golf Club serving on many committees, a fine administrator and had just wrapped up a two-year term as club president a role he cherished. Clint loved Alisa, loved golf and loved Victoria. It was a source of constant happiness to him that he was able to come back to the city where he grew up and engage in his favorite pastime to his heart’s content. He also loved journalism and was most admirably suited to the job, possessed as he was with a formidable intellect and insatiable curiosity. He was a delight to talk to about any topic under the sun. And Clint was a fine, loyal friend whose counsel was invaluable.